Brora Golf Club is another design by Old Tom Morris that has satisfactorily met the test of time. Sheep still freely graze the fairways, which is why the greens are surrounded by electrical fences. Local sheep and cattle can also be thanked for keeping the rough to a reasonable height. 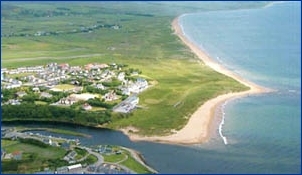 A ten minute drive from Royal Dornoch, Brora is well worth a visit.